Modern manufactured homes have come a long way since the old-fashioned double-wide, and they now offer many of the same luxuries as traditional buildings—for a greatly reduced price. Still, window replacement in a mobile home is entirely different from installations in conventional homes. In some ways, it’s a lot easier. Mobile home windows usually come in standard sizes and styles, instead of a wide variety of unwieldy custom models. But mobile home replacement windows have a number of special considerations, particularly if you’re retrofitting outdated windows in an older model. Here’s what you need to know about the process and costs so that you can kick your replacement window project off right! Mobile home windows are generally cheaper than conventional windows. For instance, you can get a high-performance low-E vinyl-framed window for around $175 to $300 in some cases. A comparable window for a traditional home could cost several hundred more. Budget windows could be even less—it’s not uncommon to see a window go for an average of $85. But you’ll often have to pay for shipping, too, which can be expensive. Shipping sometimes adds as much as $40 to a window’s total price. You’ll also have to pay for labor if you choose to have an installer replace the window for you. The cost for labor is commensurate with that of a conventional window—usually between $32 and $38 per hour. Overall, a mobile home window replacement is simpler and more affordable than your usual window replacement project. 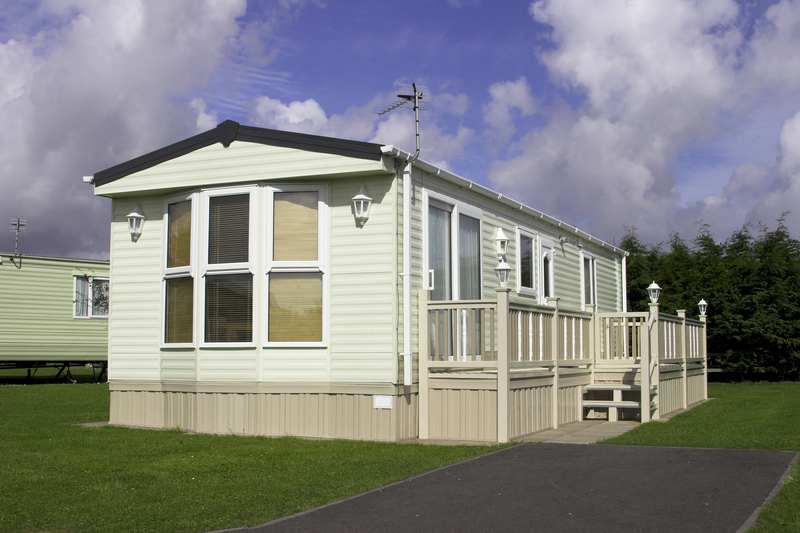 And with a wider range of stylish high-performance units available, mobile home windows don’t have to play second fiddle to any others! The first step is to select an installer and get all the details settled, or select a window model and purchase materials if you’re going at it solo. Next, you’ll either remove the window siding for a frame mounted under cladding, or to just jump straight to the window screws and start pulling off the frame if it sits over the siding. The window putty comes next. The old putty gets removed and replaced with fresh sealant. The window goes in, secured with screws, and then the installer (or you!) should check the window to see that it’s square. 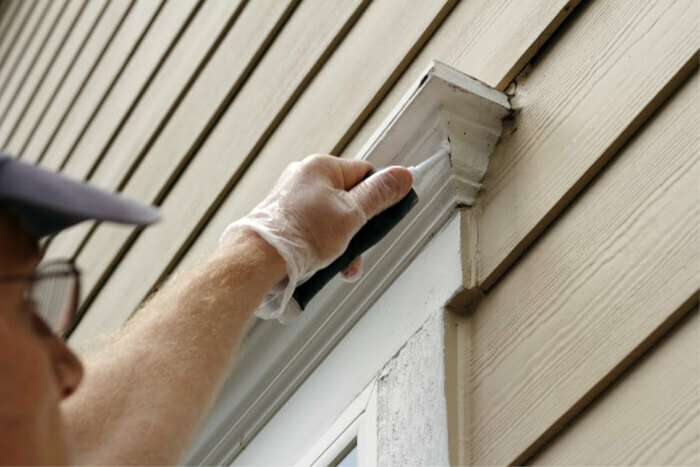 Once the window is placed properly, a little more sealant goes in between the frame and siding, and then you’re done. That’s all there is to it! Energy efficiency: Mobile homeowners replace windows for the same reasons as any homeowner; the windows are outdated, leaky, or damaged. But retrofitting older prefab homes with high-performance windows can make a big difference in household energy consumption. In the past decade or two, manufactured homes have made many strides to improve overall efficiency, designing high-performance units that are competitive with the greenest conventional homes. That change in building philosophy has resulted in a number of advancements for replacement windows, as well, so there’s no reason to stand for inefficient models when you replace. You’ll know it’s time to replace your mobile home windows if they’re drafty or rattling, or if they’re just difficult to operate. Aesthetics: In the past, many older mobile homes were outfitted with old-fashioned jalousie windows, which open with a hand-operated crank. These windows have a seriously vintage feel, since they were popularized in homes built in the 1950s and 60s. Of course, that appeals to some aesthetics, but there are a lot more profiles to choose from now. Homeowners with modern taste usually opt for vertical or horizontal sliding windows instead. Additionally, jalousie windows are made up of multiple glass slats, so the older models were particularly inefficient. If you have this style of window in your mobile home, they’re practically crying out for a replacement. Replacing your mobile home windows isn’t a simple project, per se, but it’s easier than a window replacement in a conventional home due to the limited selection of siding and window styles. However, enlarging a window opening is a lot more difficult than a direct replacement, so if you plan to make these kinds of changes, you may want to get a mobile home window contractor on the case. Another thing that can add complexity to a standard mobile home window replacement is the mounting. Windows that are mounted under vertical siding will need the cladding removed before the project can proceed. So how do you pick out a professional window installer for a mobile home window? It works just like any other window replacement: you need to find a contractor, gather three to five quotes, check references, and then sign a contract to get your project rolling. You may also decide to go with a mobile home window dealer. Dealers often hire their own in-house installers to work on all their contracts. Some window dealers specialize in mobile home replacement windows, but a conventional window dealer may have some options for you as well. Using a dealer often streamlines the process of selecting an installer and scheduling your project, so it’s not a bad idea if it’s an option in your area. Design: Windows for mobile homes have come a long way in terms of style and thermal performance. When it comes to the window design, you can opt for a much wider range of profiles—sliding windows, double-hung windows, and awning windows are all popular choices. Material: Mobile home window frames are also more sophisticated these days. Just like in conventional homes, vinyl frames are surpassing aluminum as the material of choice, and they offer much better thermal protection, too. Aluminum is a thermal conductor, so it gets cold in the winter and hot in the summer—and that heat transfer can affect the comfort of your home’s interiors. Glazing: There are plenty of glazing options, too. For the best energy savings, consider updating single pane windows with insulated double pane windows. These windows have an extra panel of glass to protect your home from harsh weather. Whatever you decide, make sure the mobile home window you select abides by your mobile park regulations. Some parks may have guidelines for the types and colors of windows you can install, so to avoid trouble, it’s smart to make sure you’re following them to a tee.